Which county is the worst for rural crime in the UK? In recent years rural crime was becoming a big problem for farmers. Things are slowly getting better as the rural crime rate is now at a 5 year low and rural crime across the UK fell by 19% in 2012, which is due to the reduced number of tractor and quad bike thefts. However this type of crime still costs in the millions. New figures released have shown that the cost of rural crime in Yorkshire is the highest in the UK, according to insurance company NFU Mutual, which insurers over 70% of farmers and figures show that losses to rural crime in Yorkshire in 2012 cost an estimated £3.4m. NFU Mutual spokesperson, Tim Price, said that the decline in the number of rural thefts was down to better security features on tractors and anti-crime initiatives. There are a number of ways that you can try and keep farming equipment and tools protected from rural theft, simply by using common sense and locking away as much of your equipment as you can. If you are concerned about rural theft and want to keep your equipment safe and protected, an Asgard storage unit is just the thing you need. The Asgard range of XL metal sheds is the ideal place to store expensive farming equipment as they offer ample amounts of space and are fitted with a number of tough security features included a 5 point locking system and pick resistant lock, designed to help keep thieves out! Do you have an allotment? Over a quarter of a million people in the UK currently hold an allotment plot. Allotment gardening has always been a popular option for those of you who don’t mind getting their hands dirty in soil and spend time nurturing flowers and vegetable plants, but may not always have the space in their garden. Apart from providing low cost food, they also provide valuable recreational opportunities involving healthy activity and social contacts. Taking on an allotment plot is not all hard work; it can have many advantages, providing fresh home grown vegetables, fruit and flowers for you and your family, free from artificial additives and at a fraction of that you would have expected to pay in a supermarket or greengrocer. There is also the social side, meeting new friends with similar interests and enabling you to enjoy a healthy outdoor life with gentle exercise and a place to relax and unwind. Did you know: The first legislative reforms date back to the Enclosures Act of 1845. Today, the Council has a statutory requirement to provide allotments for the public. As many allotments are independently or council owned, they will often have different levels of security. Many allotment sites suffer from vandalism and theft, from minor incidents such as disappearing Fruit and Veg, ranging to major incidents where sheds located on one site have been broken into and vandalism, smashing of glass in greenhouses, breaking tools, dumping rubbish and damaging frames. Always try and keep all your gardening tools locked up and out of sight in allotment huts and sheds. Not only do they provide shelter from the rain for expensive tools, gardening equipment and clothing, they provide much needed security for your allotment. If you need a secure storage unit installed in your allotment, you can choose from a range of metal storage sheds from Asgard in various sizes according to your needs. The Asgard Addition is a popular choice for many gardens and allotments due to its compact size and multi-purpose storage space. Built from our tough, galvanised (weather proof) steel with an integral metal floor and convenient large double door access this unit features an excellent 3-point locking system. Asgard Addition storage unit – Great for allotment storage! Smart and stylish, the Asgard Addition metal shed unit is available in a choice of 3 colours – dark green, ivory and brown enabling you to match the unit to your environment, and ensure your allotment is looking neat and tidy. Top Tip: We recommend that you check the area available to install your shed before installation, and confirm with the allotment regulations before installation. Whether you are budding vegetable grower or a seasoned gardener, visit the Allotment diaries website for more ideas on making the most of your allotment. For a ‘Plot Holders’ Guide’ from the Department for Communities and Local Government (DCLG) click here. To view our full range of outdoor storage units and unit sizes, visit our website http://www.asgardsss.co.uk for further details. We also offer free delivery and an installation service is also available for added convenience. Time for a Barbeque Party? Are you planning a BBQ party? With the Football and Wimbledon season in full swing, are you making the most of the lovely summer weather in the garden? Everyone is rolling out their grills and dusting off the patio furniture. Summertime is meant for backyard gatherings with great food and drink with family and friends. Whether its steak, chicken, ribs or veggies, barbecuing is a fun and easy way to make a delicious fun meal and keep your friends and family coming back for more! Summer garden BBQ party – you’re invited! Safety check – Before you plan your party and invite everyone round, make sure you are fully prepared. If you are using Gas for your Barbeque, you will need to check that the gas bottles will be stored safely and secured to prevent any accidents. The best way to store gas bottles is in a robust metal storage unit, such as the Asgas 38 gas bottle storage unit. Built from weatherproof steel, the Asgard gas bottle storage range is available in 3 different designs to suit the three most popular gas bottle sizes. All of our gas bottle storage units have been designed in conjunction with Calor gas and are the only units on the market to be selected as Calor Choice products. Security check – Without realising it, the costs of BBQ equipment do add up; with a BBQ grill, gas bottles, patio heating, garden furniture and lighting equipment, we recommend that they are kept locked away when they are not being used. The best way to store them would be in a secure outdoor storage unit, such as the Asgard Classic metal storage unit, which will ensure they are kept safe and dry until the next BBQ party. Store all your expensive garden equipment and BBQ safe and secure in the Asgard Classic outdoor storage unit. The Asgard Classic Garden Storage unit provides high security outdoor storage of expensive garden equipment and furniture. Built with a thick, heavy galvanised steel panel construction and large double door access, the Classic metal shed is an ideal store for all your high value garden equipment. Fitted with a strong 5-point locking system with Loss Prevention Certification Board approval (to level 1), you can be assured this storage unit offers excellent garden equipment storage security. If your planning a BBQ party and need some recipe ideas and help with setting up the BBQ grill visit the website from Calor Gas BBQ website here. Don’t forget to get yourself the coolest new BBQ gadgets this summer at http://bit.ly/BBQmust-haves &#8211; Your BBQ party wont be complete without it! For a full range of secure metal storage units for your garden visit our website now http://www.asgardsss.co.uk. Metal garden sheds are becoming more and more popular with gardeners as they offer more for their buck, compared to wooden sheds, with more security features and little maintenance. Take a look at the key features of Asgard metal garden sheds. All Asgard sheds are suuplied with a 10yr warranty as standard. Are Asgard Metal Sheds the best? Take a look at the key features of Asgard sheds to find out if these metal storage units suit and meet your storage needs. All of the units from Asgard are made from strong weatherproof steel panels. Unlike wooden sheds, metal sheds require very little maintenance. Asgard sheds come with a 10 year warranty as standard. There are no exposed screws inside Asgard units, so there are no sharp or dangerous edges. All of Asgard sheds come with simple step by step instructions for easy assembly. An installation service is also available. Pick resistant locks are fitted to most of our metal storage units to provide the best possible security. A unique shed ventilation system is in every Asgard metal shed. This ventilation system helps to minimise condensation. Asgard units are pre drilled for our shelving and hook packs. These accessories are available to purchase and add more storage options to your shed. Metal sheds from Asgard are the ONLY metal sheds with an integral metal floor. This floor adds even more security to the unit. These metal sheds feature tough locking systems to help keep stored items safe from theft. 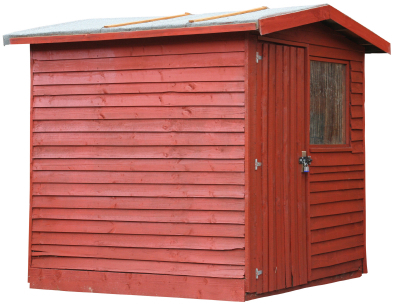 See the full range of metal sheds from Asgard on the Asgard website. It’s a new year and that means it’s time for a new shed of the year. Are you up to the challenge? Is your shed worthy of the title? There will be some who have already been working towards this for months for a chance to win. The shed of the year competition is part of National Shed Week, which takes place every year in July and celebrates our nation’s love of sheds. Last year’s winner was a pub shed named ‘Woodhenge’ from John Plumridge from Shrewsbury. John had spent over 4 years perfecting his shed, which just shows the sort of dedication it takes to win this competition. He has filled his shed with a beer collection of over 500 real ales and 110 ciders for anyone who wants to pop in for a swift pint. Can you transform your shed? Do you think you have what it takes to compete? Take a look at this year’s entries, for shed of the year 2013 so far.